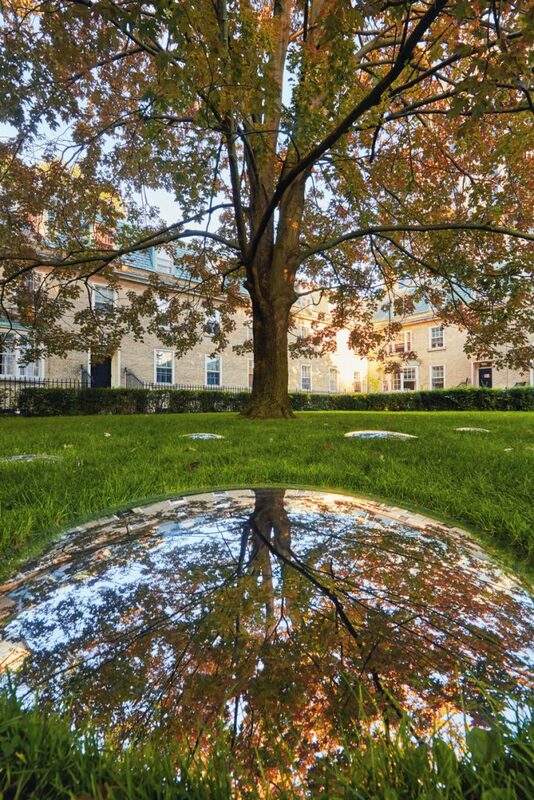 University of Toronto – downtown St. George Campus is a sprawling, urban space; a sort of place where you could get lost. 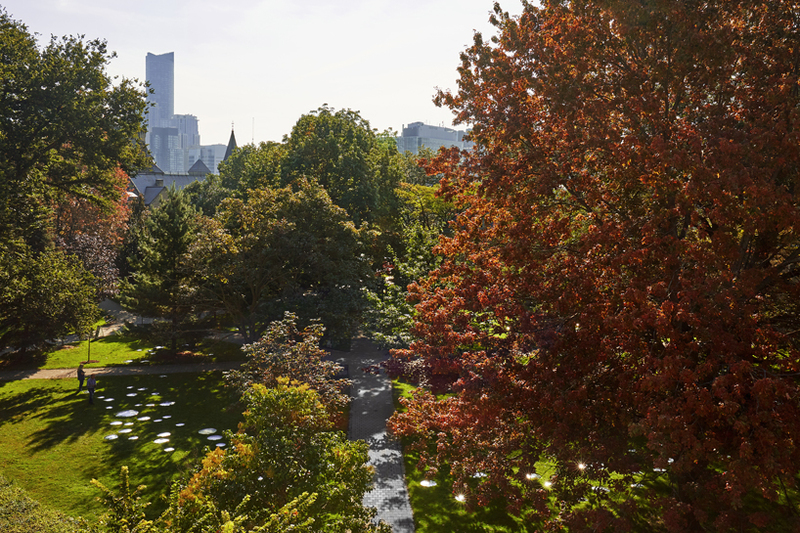 Located northwest of the campus is a hidden outdoor area surrounded by historic architecture that house student residence, dining hall, and classrooms called the Sir Daniel Wilson Quad. 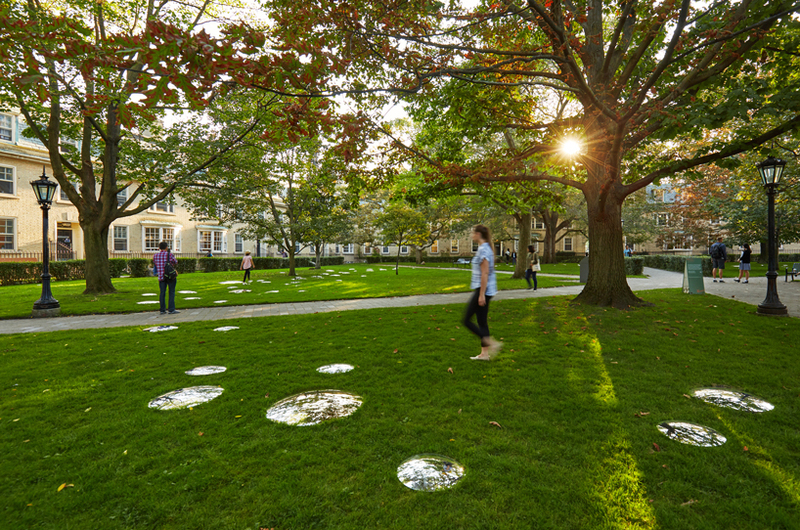 The approach to creating an installation in Sir Daniel Wilson Quad was to loosen the site’s rigidity and constriction while also working within a very limited production timeframe and budget. 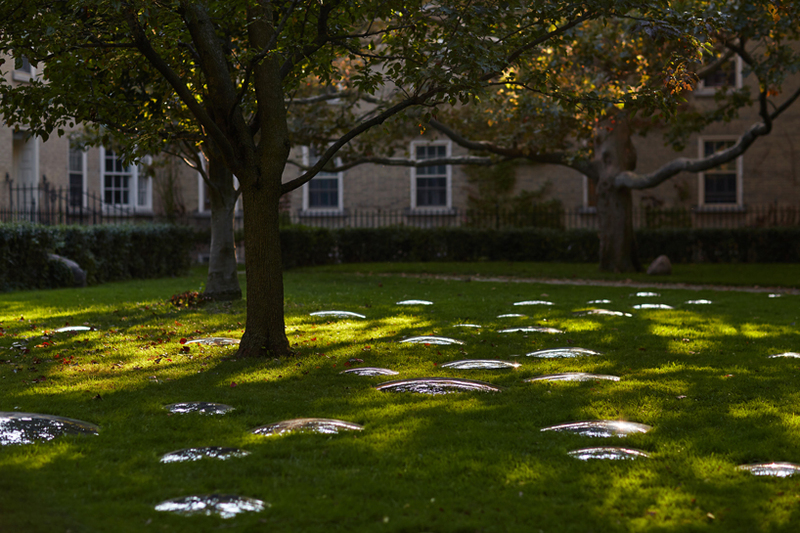 By scattering over 130 convex mirrors in a pattern of a 40-meter diameter ring within the courtyard, it attempts to challenge the constraints of the site and deflect the pre-existing conditions. 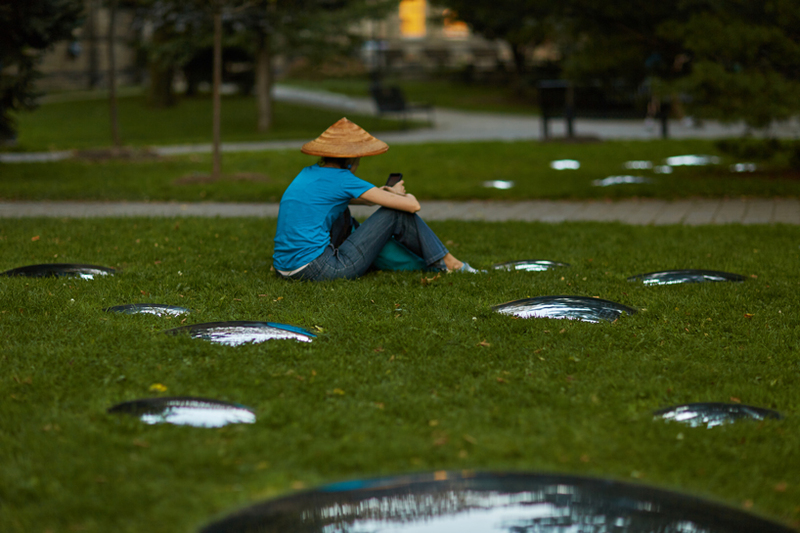 The mirrors varying in sizes are placed on the grass to bring the clouds, sky, and sun down to the ground. 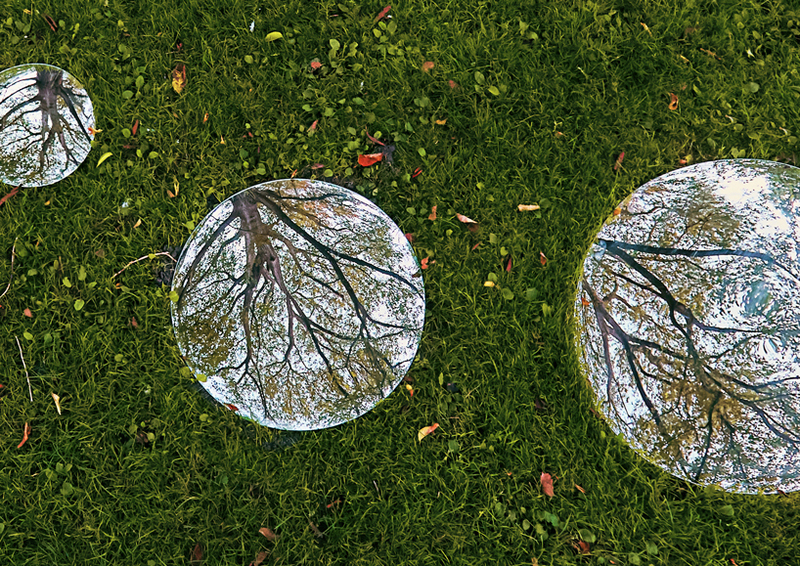 Its placement in harmony with nature, in a way resembling large water droplets. The installation, entitled “Wa-Wa” is translated from the Japanese word “Wa” that describes a philosophy of harmony. 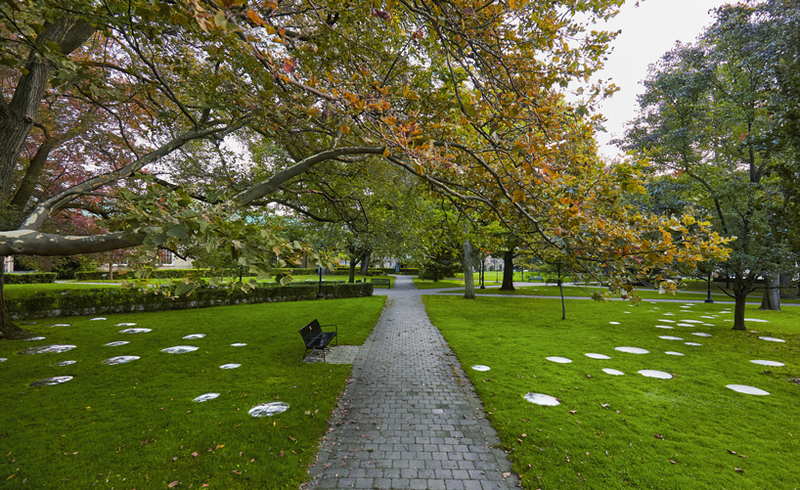 The intent was to transform the Quad into a more inclusive public space that would be immersive and remain harmonious with nature. 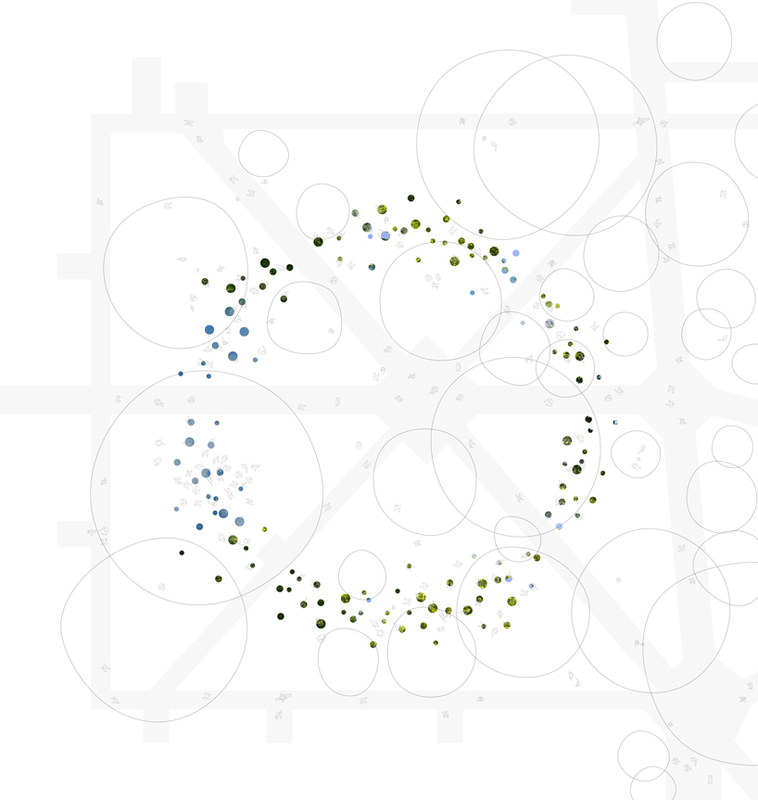 It invites visitors to initiate new ways of envisioning the space and brings a rare intervention to the university. 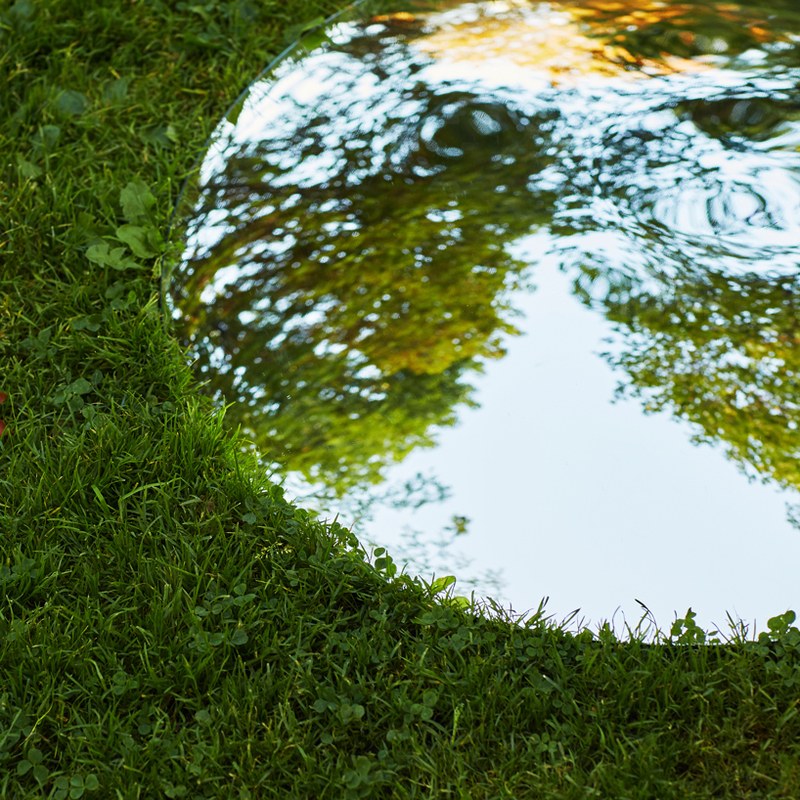 In its subtlety, it is a special and unexpected installation that enthralls visitors to enjoy a moment of pause, spontaneity, and playfulness.